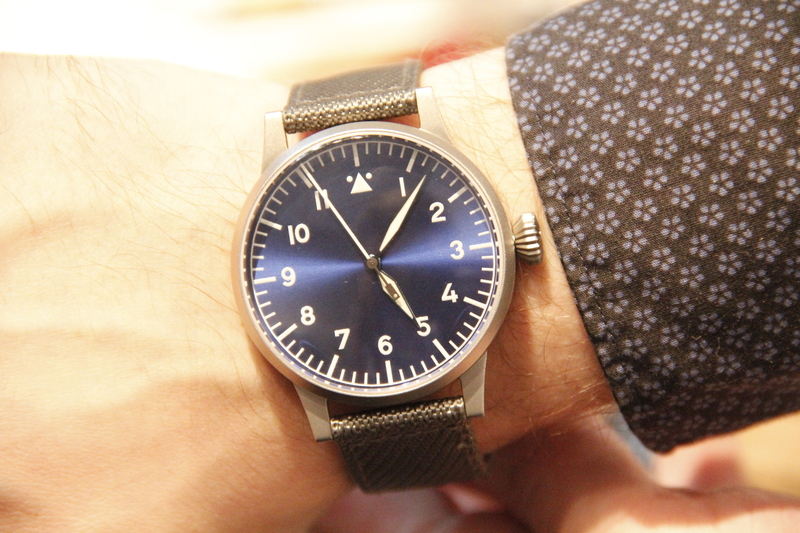 Today we will tell you about Blau Stunde watch from Laco. German watchmaker presented it on Baselworld 2017, and we’ve had a chance to play with both versions. By the way, here you can find report with another Laco novelty. 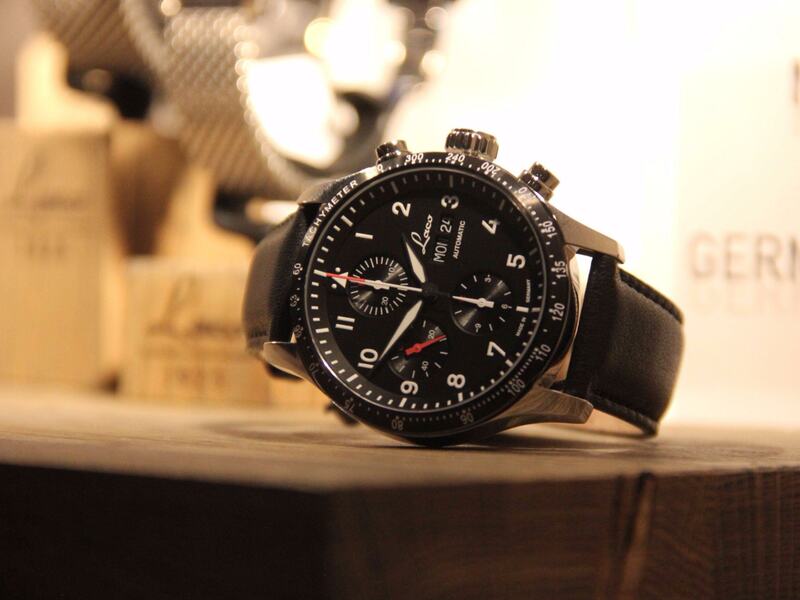 Of course, new model is a flieger, it is hardly a surprise to anyone. 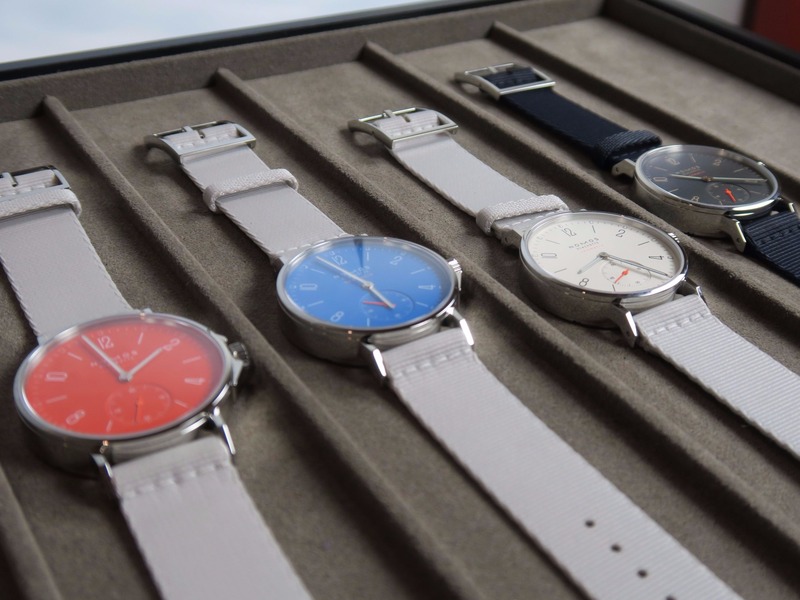 What is actually unusual – new watch design and styling. 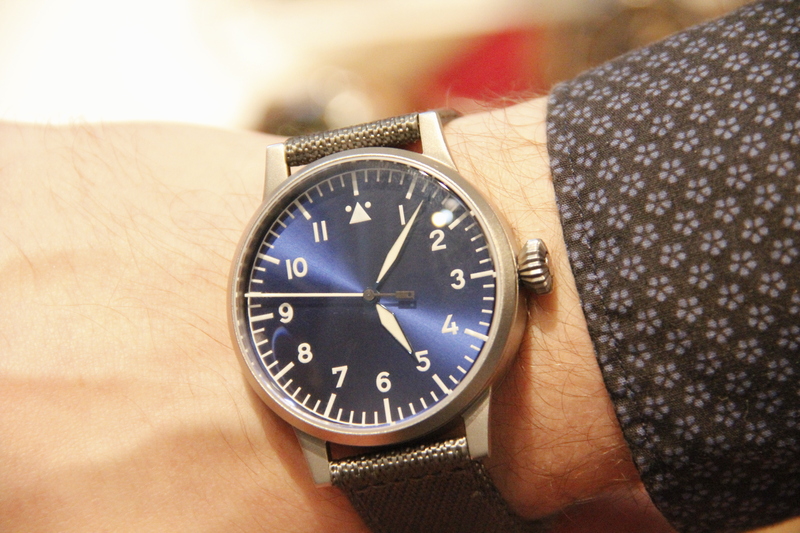 I can agree that it is difficult to change something in classic Flieger image without ruining it, but this time Laco succeeded with introducing “fresh” look onto the well-known type. As you can see on photos, dial design stays the same. 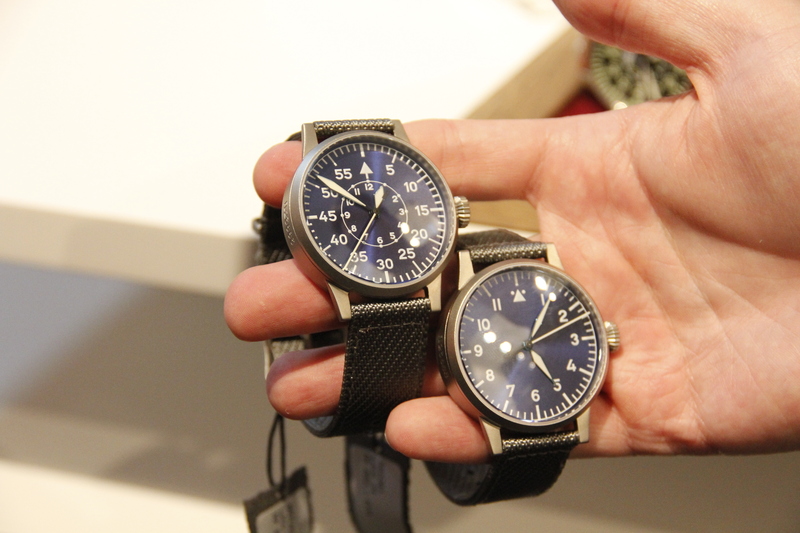 In other words, you can expect typical clean watchface of the “soldier” watch or double scale on the “pilot” version. Main difference here is in coloring, and it’s difficult not to notice such upgrade. 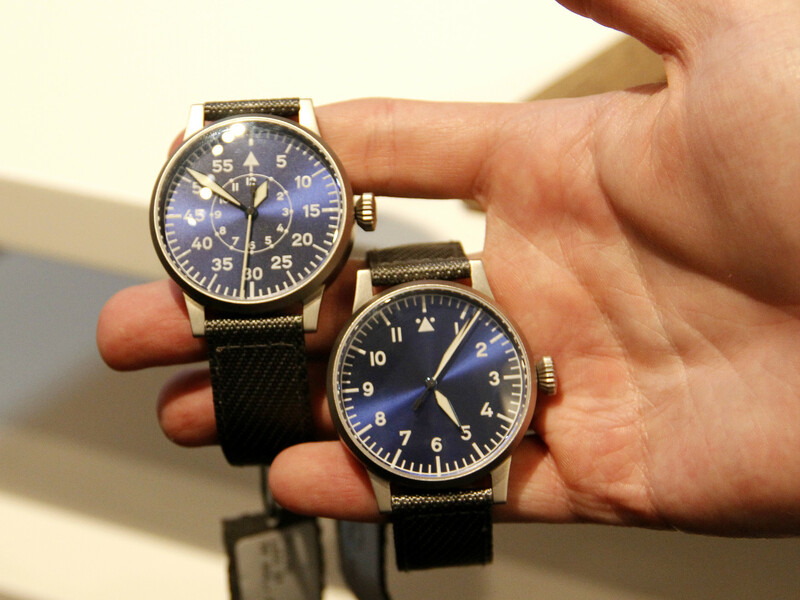 First of all Blau Stunde hints on the color of the dial, but it doesn’t communicate even half of the appeal. I am quite surprised how simple change of color influences overall perception of this watch. Now it looks even more classy and has some engaging feature in it. 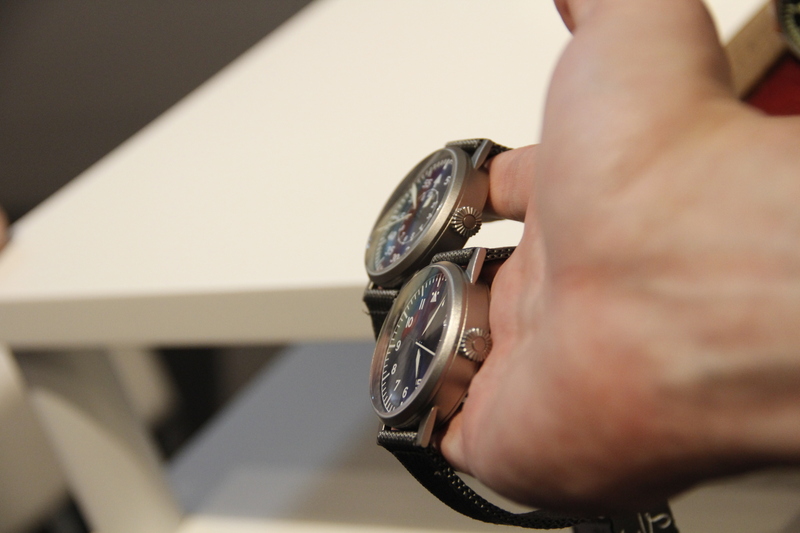 Of course, perception is influenced also by strap and case color. Those were made in light grey shade and bring even more “lightness” to appearance. Case is made out of stainless steel, so you shouldn’t expect some special materials. Nevertheless, caseback features B-Uhr designation as a small reminder about original nature of this watch. Frankly speaking, I am bit confused about the strap. 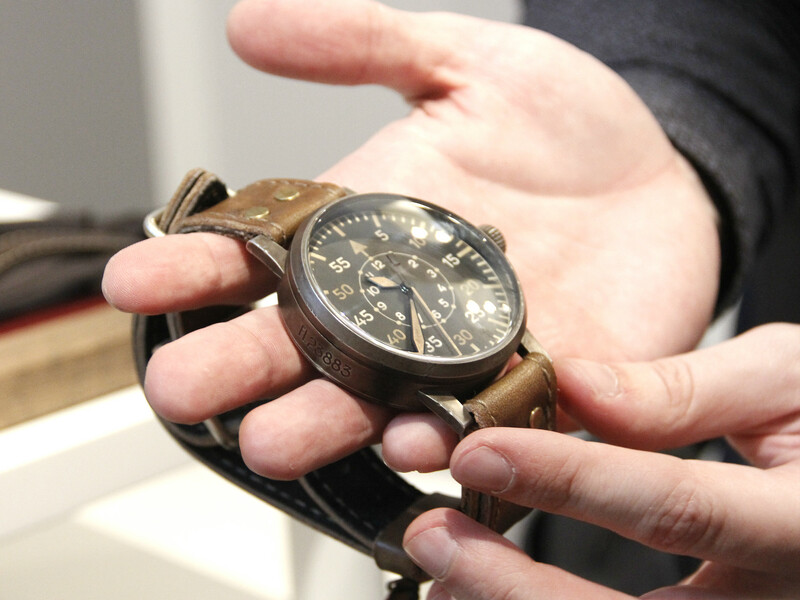 As you can see on photos, German watchmaker decided to use textile version for the new model. 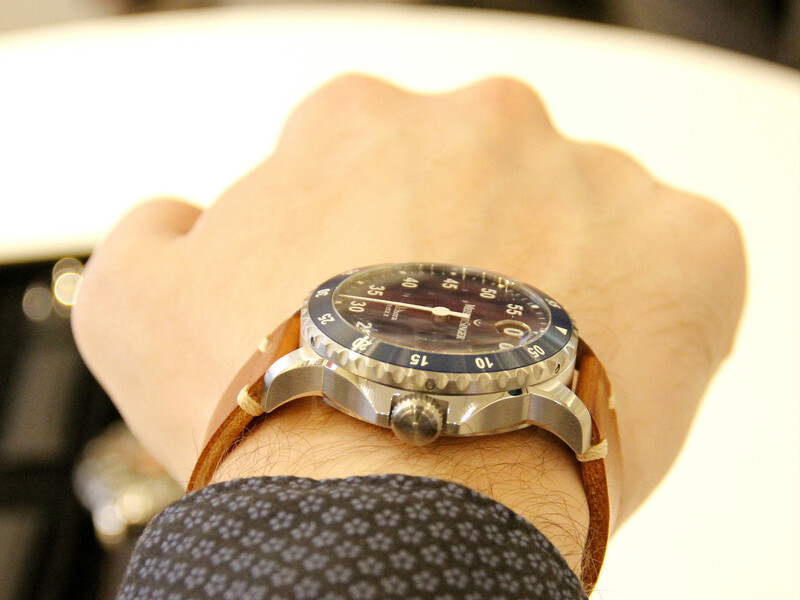 From one side such option is quite comfortable to wear and wraps around your wrist. From the other its silver shade looks somewhat unusual, and I would rather add something different here. 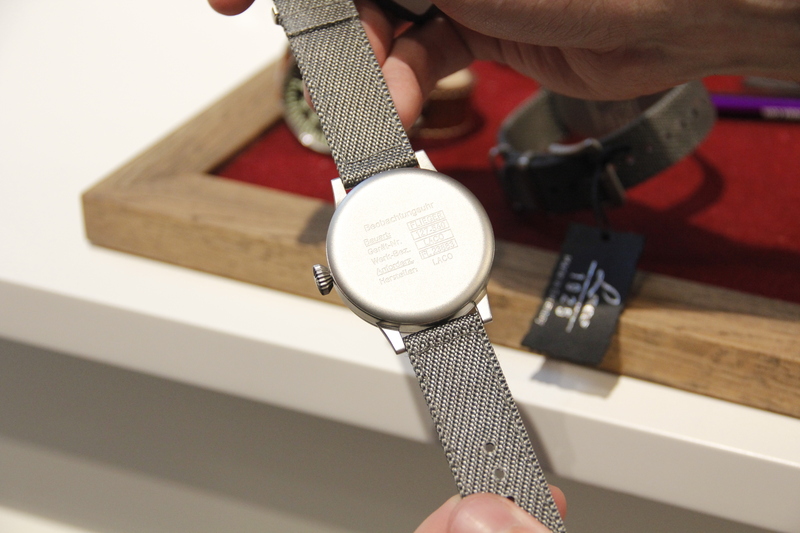 What about Milanese strap with matte grey parts? Such inclusion would make watch even more special. As for the movement, you shouldn’t be worried. 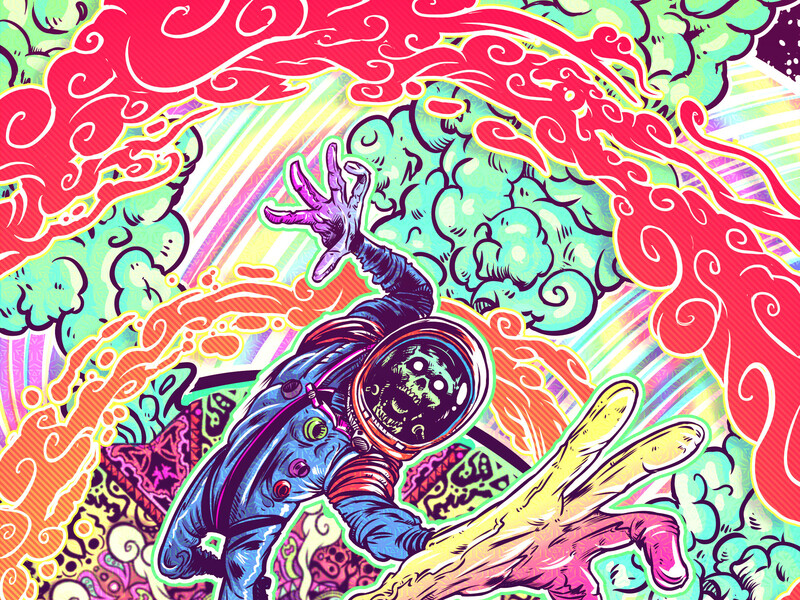 There will be four versions in total, which differ in watchface style and movement inside. 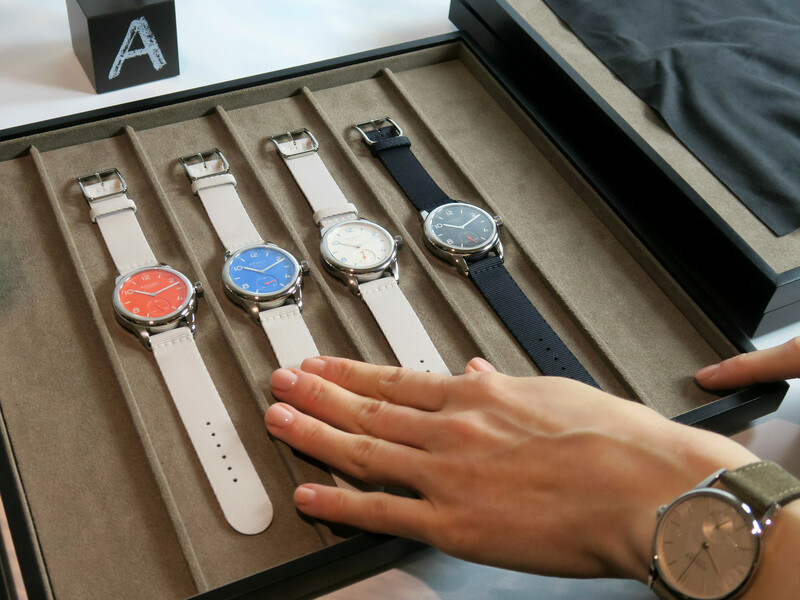 The first option is automatic movement based on ETA mechanism. 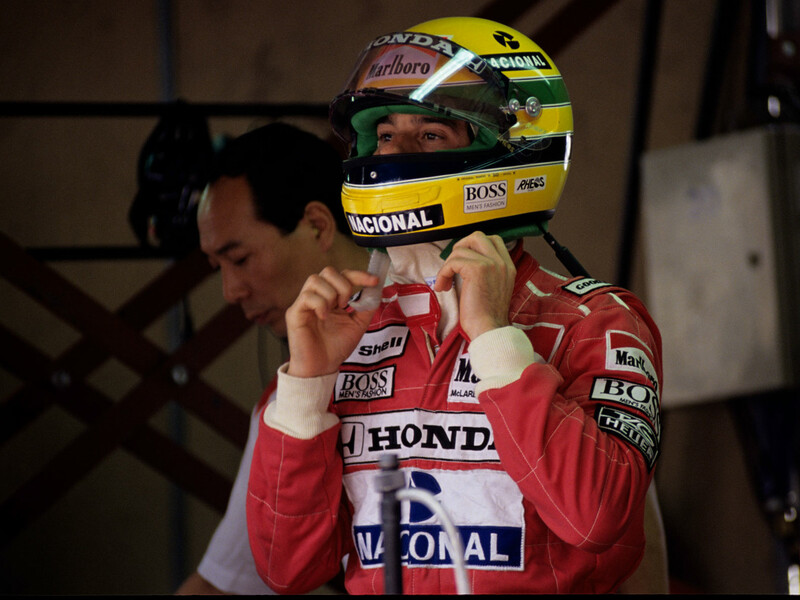 Second one is also mechanic, but with manual winding. Doesn’t matter which one you will choose, appearance will stay the same. Moreover, I would go for manual version as one more “authentic”.